Al joined the Army June 1955 and took Basic at Ft. Ord Calif.
Al Served with 2/18 Artillery as Section Sgt. Al was in Special Weapons training. In June 1963, Palafox transferred to 3/18 Artillery and was sent to Ft. Lewis, Washington... there, Basic training men took 2nd 8 weeks training under Sgt. Palafox - July 4, 1964. Palafox on a mission in IA -Drang Valley when the tank broke down - a nervous night for us all as we pulled Guard Duty with NVA around us... although our Captain Laslie slept well that night." Photo courtesy of Charles Martin. Jan 1965 orders came from the 23rd Artillery Group for duty to Vietnam . Palafox was sent to IA-Drang Valley and Catecka Tea Plantation (Nov 4, 1965) securing the Air Strip with 88 Infantry. Palafox was A-Btry 3/18 Artillery section chief for Alley - Oop 3rd Section, he also was sent with A-Btry 3/18 Artillery at Artillery Hill # 54. July 1965 Palafox and all Sgt., were sent to Korea for 6 Weeks Special Weapons Training. 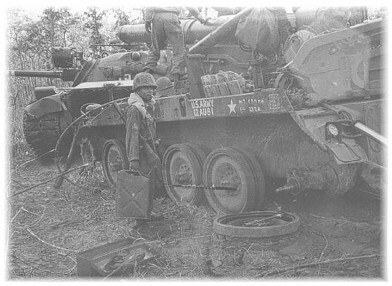 Removing the Special Weapon Truck `s from the unit`s 1966, Sgt. 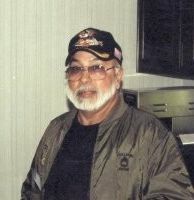 Al Palafox stayed with A-Btry 3/18 Artillery under Capt. Charles Laslie, then change command to Capt. Rex Weaver. Palafox served all Battle Field missions 1965-66. Oct 1966, when 23rd Artillery Group showed with 9 Battalions, it went Americal Division. Nov 1966, Al Palafox took Howitzer # 3 Alley -Oop and #4 Howitzer Annihilator to build camp at Chu-Lia Vietnam... therefore adding 2 -175 Gun `s. Sgt. Palafox made one trip to USA for 10 Weeks training in Special Weapons at Ft. Benning, GA returning to A-Btry 3/18 Artillery Battles at Dak -To Plei-Me and Oasis's. Sgt. Palafox was at Chu-Lia during battle LZ-Cindy Sept 8, 1970 under Captain Sanchez as the 4 -8" Howitzers retuned to An -Khe to rejoin the Battalion and return to USA. Sgt Palafox was sent to Siagon as Chief Firing Btry for 105 unit - he rotated back to States 1971 as the fall of Siagon began. Sgt. Palafox returned to Ft. Lewis Oct 1971. Chief Firing Btry Palafox stayed the entire Vietnam War 5 1/2 years. Palafox married Julie Mireles while on leave 1967 to Ft. Benning, GA (during his 10 week Special Weapons Training before returning to Pleiku Vietnam). 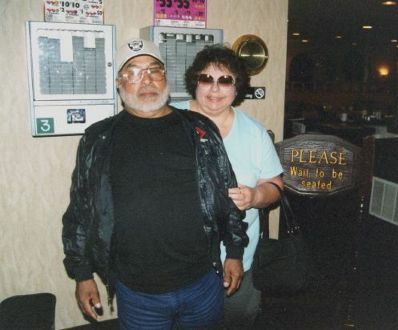 Al and Julie Palafox still make there home in Tacoma Washington. Serving under Sgt Palafox from Catecka Tea Plantation to Tempoary morgue Nov 4, 1965 was a highlight in my life as a 19 year old Kid. Sgt. Palafox was part 88 Infantry. 1st Field Forces 1965/66. I have met Sgt. Palafox several times since 2000 once at Branson MO Reunion 2002. I still wonder... a man bring`s a unit from Germany to Ft Lewis, to Vietnam, and stay's the entire War with A/ Btry 3/18 Artillery? I Salute you Sgt Alfonso Palafox... Duty-Honor-Country! 5 1/2 years in Vietnam War. I served with Palafox 1965/66 in Pleiku Vietnam A-Btry was only unit with a Battle plan 88 Infantry 1965. God Bless you Retired E-8 Palafox see you again at Ft. Sill, Oklahoma Reunion, Sept '07. Welcome home Brother!